The TIF (Tax Increment Finance District) helps provide public improvements in Downtown. 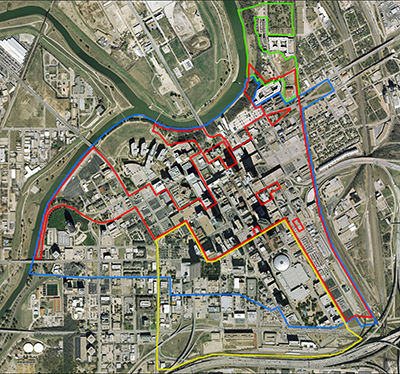 The Downtown TIF is a collaborative effort between the City of Fort Worth, Tarrant County, Tarrant County College District, and the Tarrant County Regional Water District. Established in 1996, the TIF is managed by Downtown Fort Worth, Inc. The TIF captures incremental tax dollars over the base year’s collections and uses those funds consistent with the TIF project and financing plan. What does the Downtown TIF do?